Not wanting to tempt fate it looks like we might get away with a slightly warmer winter this year. Hopefully for most of us this will mean lower gas bills but what about when it gets really cold again. So this month we look at RHI premium payment vouchers, energy switching cashback and how to cut your water bills. If you are considering solar thermal hot water, an air source heat pump, ground source heat pump or wood fuelled boiler you can get a voucher giving you up to £1,250 of your purchase. These vouchers are made available as part of the government scheme but are only available until the end of March 2012. These premium payment vouchers give you a discount if you buy form an MCS accredited installer. In addition to the discount you will also get RHI payments which pay you for up 23 years for using these renewable heating technologies. Essentially the scheme works in a similar way to the one for solar panels. So if you get a system installed before March 2012 it means that you will get your system much cheaper. As yet I don't think there will be a free heating system similar to free solar panels. Starting from Friday 20 January 2012 until Friday 27 January 2012 uSwitch are offering £25 cashback if you switch to First Utilities isave fixed V1 March 2013 dual fuel tariff. You will need to check on the uSwitch website to make sure that this tariff is cheaper than your current provider. There is no point in switching of you are not going to save money, if you are on your energy companies standard tariff then switching will save you money. Are you on a water meter? For those of you on a water meter I have put together a guide to saving water in the home. 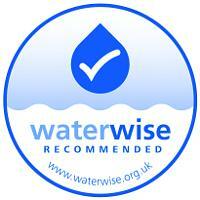 The guide covers ways you can cut your water bills without spending a penny. Find out about water saving toilets and water saving showerheads and how much water we actually use at home and where it gets wasted. A roof facing as far as a West-South-West (almost West facing) direction or East-South-East (almost East facing) can still potentially generate up to 90 percent of a roof facing South.